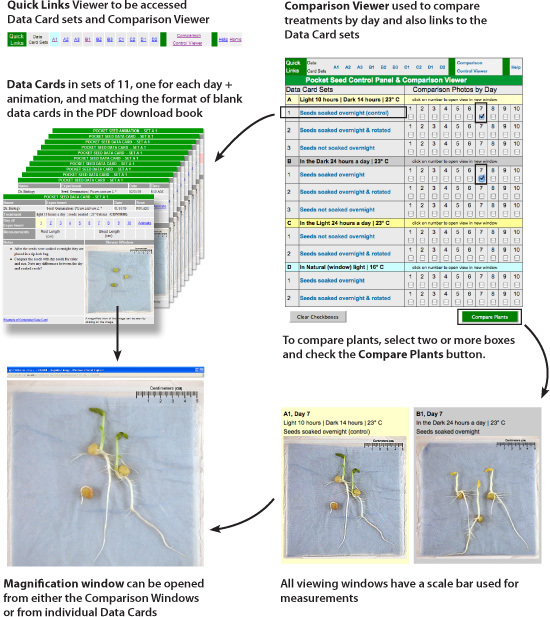 There are two parts of the experiment, Data Cards and Comparison Viewer - Viewer Windows. From the Data Cards and the individual Viewer Window, you can open a magnified view of that day's image by clicking on the image. Moving between Data Cards and Comparison Viewer can be done using the Quick Link Viewer. 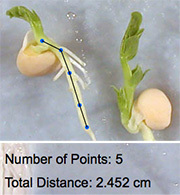 You can click to place points and find distances using the virtual measuring in the magnification viewer. The full featured virtual experiment is supported by all browsers except Internet Explorer.